It's been a little over three years, since I last visited Jakarta. Since I last visited Kelepa Gading. 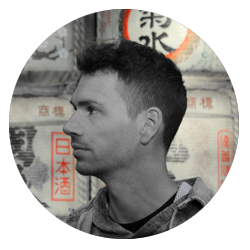 Lets face it; Jakarta is not exactly the cultural hotspot of Southern Hemisphere. Besides the National Monument Monas, the Istiqlal Mosque and Jakarta Cathedral, it's mostly about the markets and malls. 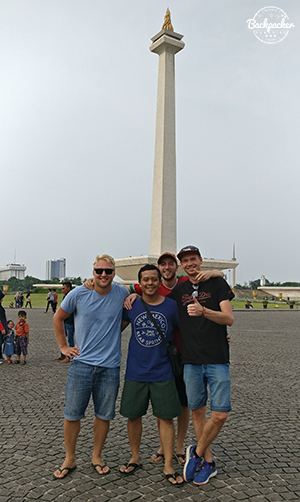 There's no Khao San Road attracting hordes of backpackers and even at Monas, which is the main attraction, foreigners are a rare sight. So what brings me back here? My main reason to go back here is to see my friend and brother Deni. Since 2014, where I met Deni for the first time, we have made sure to see each other every year; five times in four different countries so far. This time in Jakarta, with Deni's family. He picked us up late evening in the airport. As we approached the outskirts of Kelepa Garding, where Deni and his family lives, I quickly recognized the area. And as we drove down his street, I recalled several dearly beloved memories from my last visit here. We parked in front of the red gate - which used to be white - of his house. A gate I entered countless times before. Deni's smiling mother welcomed us. I instantly felt more at home, than I have for the past three and half months. Even the smell of the street, which doesn't really smell like anything but car pollution and dirty river, gave me a homely feeling. Deni's mother is like a second mother. And his house like a home. A mother and a home away from home. After a very late dinner, we hit the beds and slept better than any night I can recall during this trip. 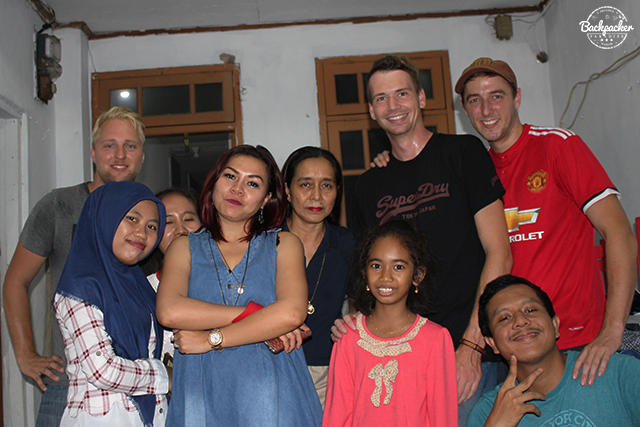 The next morning breakfast was served, and Deni's hyperactive stepsister; Meyca, where already pumped up on energy over the return of Lasse and me and this time bringing a new 'bule', Bule Joe. Her excitement wasn't lessened, when she realized we brought her presents. I've always been fond of Indonesia since my first visit. Which is kind of odd since I wasn't too impressed of places like Kuta (Bali) or Jakarta for that matter. The old travel cliché; "It's the people that makes the place" might not be too much of a cliché after all. This time around, I'm looking to visit some of the more farout places of Indonesia. Looking for amazing places, since I've already stumbled upon the best people in all of Indonesia.